After 'Age Of Extinction,' Where Should 'Transformers' Go Next? Get ready to roll out, again. WARNING: Spoilers for "Transformers: Age of Extinction" are ahead. "So, Optimus. Where are you going?" That's a legitimate question the audience might be asking after the end of "Transformers: Age of Extinction." The film ends with Optimus Prime blasting off into outer space to seek out "the Creators" who wanted him so badly, they hired a killer bounty hunter to track him down. We've seen Optimus and Megatron slug it out all over Earth. What about their home world? 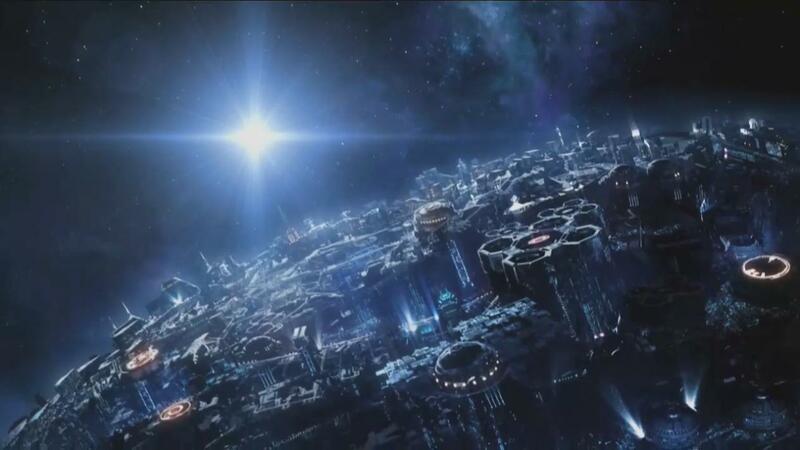 Sure, we've seen bits and pieces of Cybertron over the years, but why not spend an entire movie there? If human characters need to enter the mix, then bring Cade Yeager or Sam Witwicky or whoever along to Cybertron, and fill out the rest of the cast with nothing but Transformers. It's time to see the 'bots on their own turf. Prime wants to meet his maker. Well, that would bring him directly on the path of the Quintessons, known in "Transformers" lore for creating the Transformers. These robots feature five faces with unique personalities, and they're known for handing out harsh and swift judgment. Sounds like the exact type of creature that needs a Prime-powered punch to the mouth. If you don't know Unicron, get acquainted. He's the big bad motherfrakker of the "Transformers" universe. He's a robot that transforms into a planet that eats smaller planets. How do you top that? You don't. Once "Transformers" goes the Unicron route, there's no going back. But it's time to go as big as possible, or go home. Because somebody has to smack that stupid grin off of Thanos' face. Who better than Prime? The powers that be have thus far resisted the idea of teaming the Autobots with the Joes, but why? Both franchises are under the same roof at Paramount. Both franchises have interacted in the past. With Dwayne "The Rock" Johnson in "Joe" and Mark Wahlberg in "Transformers," and Michael Bay in the mix as well, who could resist a "Pain and Gain" reunion, especially with the added bonus of Optimus Prime? Really, it's been done. How many times can you blow up Chicago? Just keep Prime in space, and let the rest of the Autobots and Decepticons follow. Wherever they're going, it's more interesting than here.